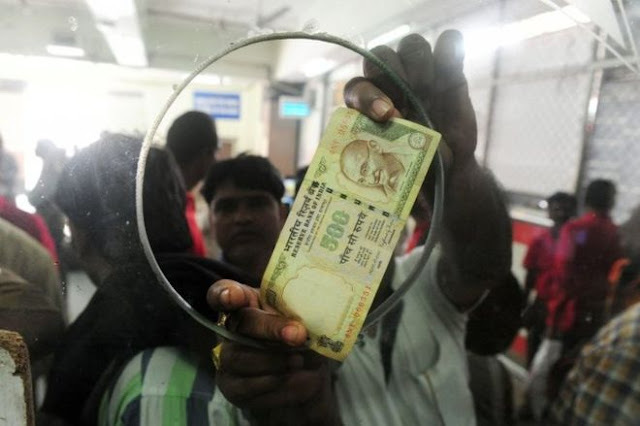 The local magistrates court of Indore, India, last week criminalised the distribution via social media of 'misinformation' regarding the country's sudden and highly controversial scrapping of Rs1000 and Rs500 notes earlier this month. In justifying the ruling, the district court invoked Section 144 of the CrPC, which is used to clamp-down on 'urgent cases of nuisance of apprehended danger' and dangerous 'riot-like situations.' Critics have called it an overreach by local authorities. The demonetisation, announced on 8 November, was an attempt to crack down on the 'black economy' in the country. There were, indeed, some chaotic scenes at Indian banks as people rushed to cash-in their notes earlier this month; which is probably down to the fact that the two notes accounted for about 85% of all cash in circulation. As the BBC reports, India is overwhelmingly a cash economy, and the move badly hit low-income families and traders who deal in cash. What's more, both embargoes have come in the wake of crackdowns by Facebook itself regarding the sharing of misinformation on the site; albeit prompted by the outcome of the US election rather than social or monetary controversies. Nonetheless, both purported democracies - that for netizens, and that for Indians - are now answering fresh questions regarding just how far free speech can be accommodated. Sadly, neither solution looks particularly promising; and, indeed, neither seems to tackle the root of its respective issues. Certain Indian authorities have gained a reputation for banning pretty much everything that moves in recent years, with some such moves being pretty outrageous. Indeed, just six months ago, IIT Indore, the city's state-run university of technology, completely banned the use of all social media in order to stop students protesting against a 150% fee hike for PhD scholars. Nonetheless, all this banning has ended up generating some pretty hilarious satire, which is perhaps a silver lining. ("Two roads diverged in the woods and I banned them both". I need a moment). Overall, though, last week's news is bad: thanks less to the order itself and more to the things for which it opens doors. It could well be, for instance, yet another chapter in an overall quite depressing long-term narrative regarding the curtailing of the internet as a platform upon which voices can be given to those who would otherwise struggle to be heard. A normalised tendency to clamp down upon the spreading of misinformation, after all, will ultimately hand greater power to the state in the future suppression of public dissidence and organisation.